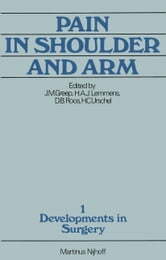 The "shoulder-hand syndrome" or pain in the shoulder or arm is an extremely vital subject for the multi-disciplinary approach and usually re­ quires more than one speciality for complete evaluation. 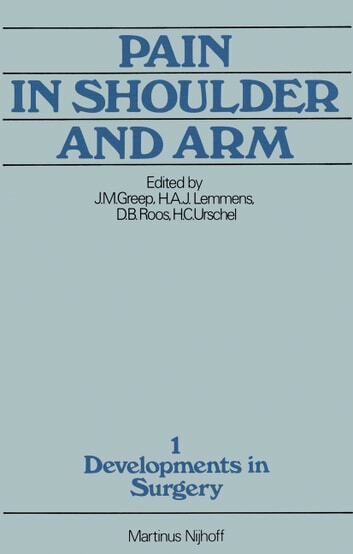 The proceedings of this symposium - organized by the department of general surgery of the University of Limburg - cover the field thoroughly with contributions from outstanding specialists from all over the world. Rheumatological, neuro­ surgical, orthopedic, and traumatological aspects are covered. Vascular surgeons considering both venous and arterial problems entwine with thoracic surgeons to review the thoracic outlet problem. Establishing a diagnosis in this multi-disciplinary field is extremely important and encom­ passes a combination of disciplines including neurology, orthopedics, sur­ gery, and physical medicine. Likewise, the role of each contributing factor must be assessed when multiple sources were responsible for pain. In addition to adequate diagnosis, it is important to institute the appropriate therapy and to establish the proper priority and timing of such therapies. The follow-up techniques particularly regarding thoracic outlet syndrome are extremely important to provide an objective basis for evaluation. Although many advances have been made in the field of objective diagnosis and therapy, there still is a great deal of overlap and confusion which has to be clarified. Professor Greep and his organizing committee have done a wonderful job in composing a program covering all aspects of this field. They are to be congratulated on bringing us a "timely current status" report on pain in the shoulder and arm.